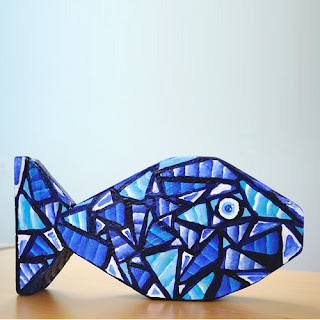 In your garage was a scrap of wood, a scrap of wood that became a beautiful fish sculpture. I’d like to take credit but I can’t. 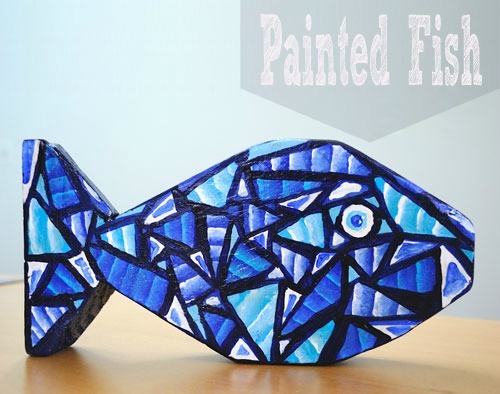 That all goes to Chicago teenager who not only got busy with hand tools but also painted this beautiful abstract pattern creating a one of a kind fish sculpture. A piece of scarp wood. 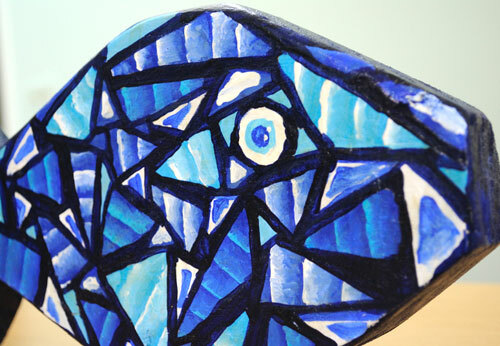 The piece she used was left overs from a deck board repair 2 by 4 and about 12″ long. With a pencil, draw a very simple fish shape on your wood – avoid curved lines as these are difficult to cut with a hand saw. Straight lines work best. Get busy with that hand saw and cut along your lines – this was hard work and did require a little assistance from Mr Chicago’s muscles! 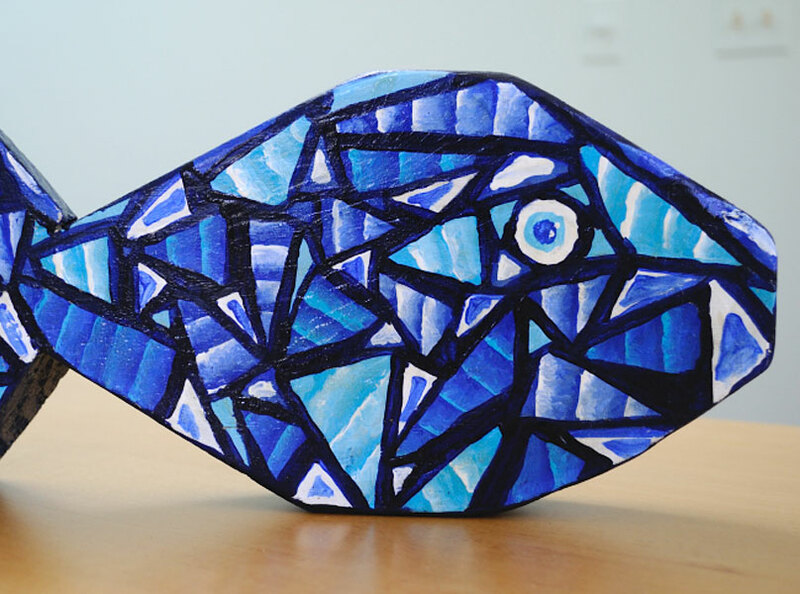 This entry was posted in Coastal Crafts, Craft Projects, Decorative Accents, Teenager, Trash to Treasure, Wood. Bookmark the permalink. ← A funny laugh out loud book. Your Creative in Chicago teen is so super creative! whoa, looks great. i love blues.